GENEVA (Reuters) - A travel ban and asset freeze imposed on Venezuelan opposition leader Juan Guaido by the country's Supreme Court do not respect legal standards, a U.N. adviser on judicial independence said in on Friday. 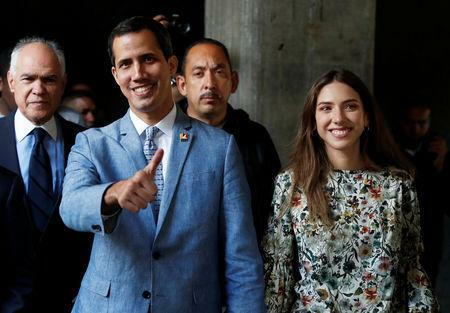 "The evidence suggests that the measures against Mr. Guaido have not been adopted in accordance with constitutional requirements, normal legal procedures and international human rights standards,” Diego Garcia-Sayan said in a statement. Garcia-Sayan is an independent expert or "special rapporteur" mandated by the U.N. Human Rights Council to investigate the independence of judges and lawyers.